What goes around, comes around. 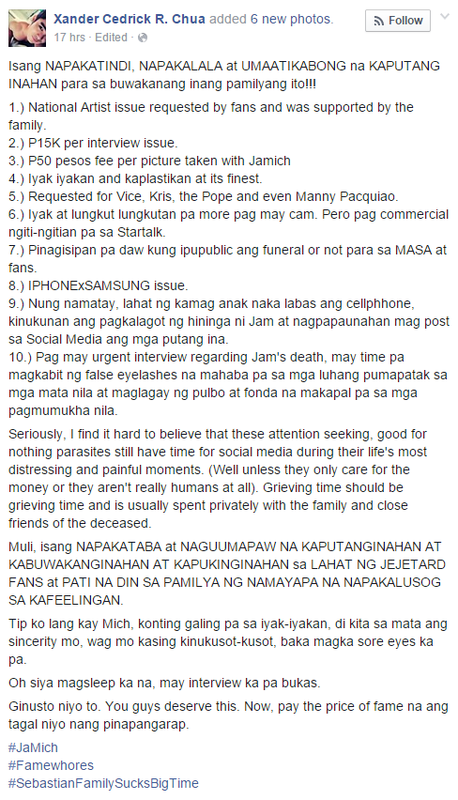 Jamich fans bashed a netizen who bashed the Youtube couple and the Sebastian family in a viral Facebook rant. 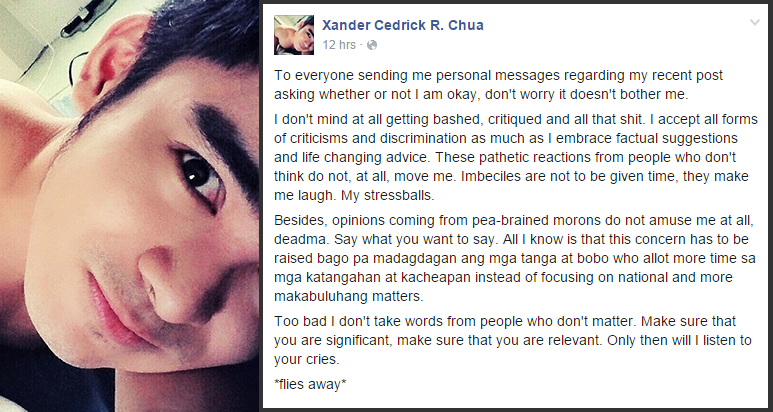 Xander Cedrick Chua, whose Facebook profile shows that he is a public relations, creatives and digital marketing head at LVMH, a French multinational luxury goods conglomerate headquartered in Paris, posted a lengthy message on Tuesday, March 10, two days after Jam Sebastian was laid to rest. While many agreed to the points raised, Jamich fans defended the family and slammed Chua, calling him a "famewhore." He retaliated in a separate post, this time hitting the YouTube couple's followers. Both posts got thousands of likes and shares in a matter of hours and are currently going viral on social media. 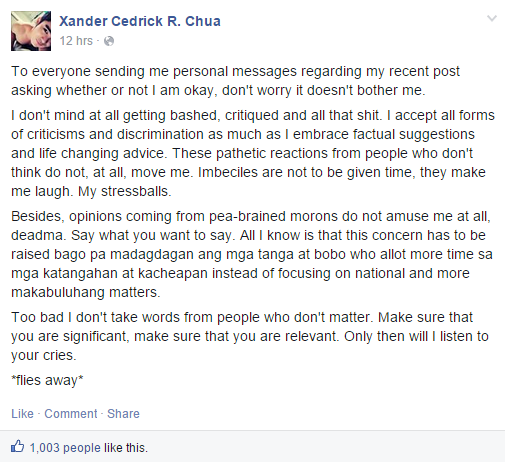 Xander Cedrick Chua's Facebook rant is so far the most offensive as much as verbal attacks against Jamich and the Sebastians are concerned. Of course, the supporters would back them up and instantly rise to their defense. It's a free country after all.